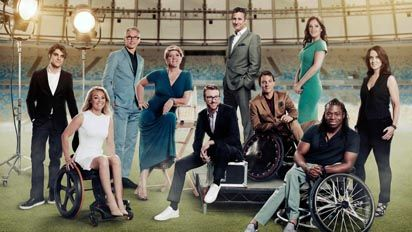 Channel 4 has this week outlined how it intends to build on its successful coverage of the 2012 Paralympics with 700 hours of Paralympic coverage pledged for the 2016 Paralympic Games in Rio. The event takes place between 7th and 18th September 2016. Clare Blading will be joined by the Last Leg's Adam Hills, F1 presenter Lee McKenzie and former Olympic champion Jonathan Edwards in leading the coverage, with additional disabled presenters such as Breaking Bad actor RJ Mitte, broadcaster Sophie Morgan and former marine commando JJ Chalmers. They will appear alongside presenters from Channel 4’s 2012 coverage including Ade Adepitan and Arthur Williams. Confirming their coverage to the media yesterday, Channel 4 said almost two-thirds of the on-screen talent working on Channel 4’s Paralympics coverage will be disabled, including all four of the daytime presenters. The coverage, from the C4 studio in the middle of the Olympic Park will include: both opening and closing ceremonies, nearly 120 hours of live sport on television plus The Last Leg from Rio, and nearly 700 hours of online streaming of sport (including the same coverage that's on regular TV). Every morning there will be a highlights package of the previous day’s action available on All4. Opening and closing ceremonies, also featuring BBC security correspondent Frank Gardner, will be live on Channel 4 and simulcast on 4seven, where viewers will find live audio description and signing. Subtitles will be available across all coverage. The Last Leg, which will be broadcast from Rio throughout the Games will also be repeated on 4seven with audio description and signing shortly after it's been on Channel 4. "From the day the London 2012 Paralympics ended, I've been in training for Rio. I've been working on writing better jokes, hosting as many shows as I can, linking to ad breaks as seamlessly as possible. It's been a long, hard road, of blood, sweat and tears - but now I'm ready to try to set a personal best at Rio." The Rio Paralympic Games will also see the unveiling of a brand new and much improved animated LEXI – the revolutionary on-screen graphic which explains the complex classifications of Paralympic sport. LEXI, created by Paralympic gold medallist Giles Long MBE, was first introduced at the London Paralympics and helped viewers understand how athletes with different types and levels of impairment are separated into groups or classes to ensure they can compete fairly against one another. The LEXI system has been completely overhauled for Rio with three dimensional animation replacing much of the on-screen text, giving the audience greater understanding by linking impairment types with the functional attributes important for success in each sport.